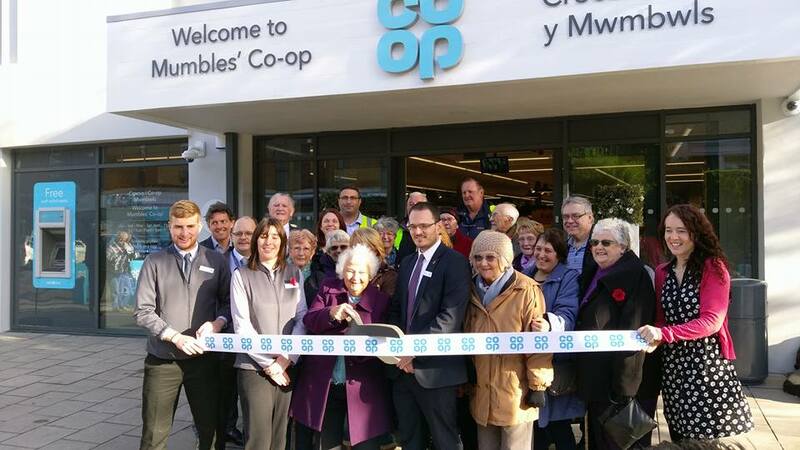 The Musical Memories Choir were invited to open the new Co-Op shop in Mumbles on Wednesday 9th November. Members of the choir braved the cold weather to entertain staff and local residents with three of their favourite songs from their repertoire. The Musical Memories choir was set up in 2015 by Red Cafe Mumbles to provide a singing and social group for people affected by Dementia. The choir organisers and it’s volunteers provide a warm, friendly environment with singing, followed by a tasty lunch. No previous singing experience is needed and all the words to the lyrics are provided on an overhead projector. The Choir now meets twice weekly on a Tuesday and a Friday. Tuesday’s group meets at 11am at the Christwell Manselton Reformed Church at 124-136, Manselton Rd, Manselton, Swansea, West Glamorgan, SA5 8PW.